Meanwhile, at least 1,200 inmates in three detention facilities in Sulawesi have fled. A top Indonesian government official said on Monday that President Joko Widodo has opened the door for international help after an earthquake and tsunami killed at least 844 people in the island of Sulawesi. Tom Lembong tweeted asking rescuers to contact him directly via social media or email. Countries such as Australia, Thailand and Singapore have already offered help, Reuters reported. Meanwhile, rescuers dug mass graves, expecting the toll to rise further. In the Poboya hills above Palu city, which was devastated by the quake and tsunami, volunteers dug a 100 metre-long grave to bury 1,300 victims, AFP reported. It can be enlarged if needed, said Willem Rampangilei, the head of the country’s National Disaster Mitigation Agency. Local army commander Tiopan Aritonang said 545 bodies would be brought to the grave from one hospital alone. Video footage showed residents walking from one body bag to another, opening the tops to check if they could identify faces, reported AP. Around midday, teams of workers, their mouths covered by masks, carried 18 bodies and laid them in the trench. A backhoe waited to push soil on top of the dead. As many as 60 people are feared trapped under one hotel in Palu. However, two people have been rescued from the 80-room Hotel Roa-Roa, Indonesia’s search and rescue agency said. 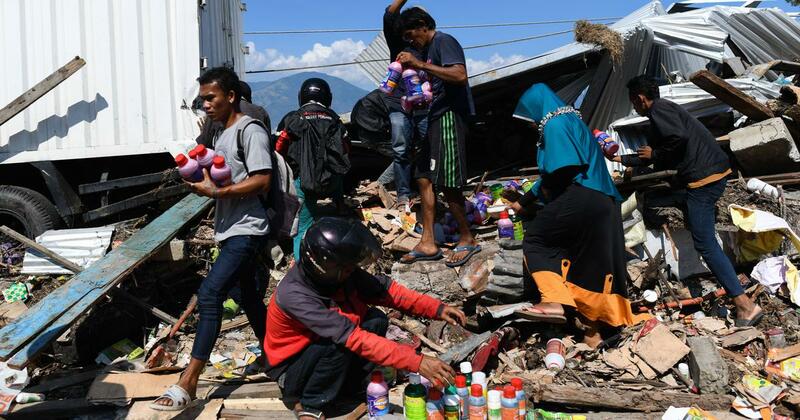 The main cause of concern is Donggala, located north of Palu and close to the earthquake’s epicentre, and two other districts, where communication snapped, reported Reuters. Widodo said rescuing people from these districts was a priority. “There are many places where the evacuation couldn’t be done because of the absence of heavy equipment, but last night [Sunday] equipment started to arrive,” he said. Aid agencies were struggling to get staff into affected areas as the main airport at Palu was damaged, BBC quoted a rescue worker as saying. Catholic Relief Services’ Yenni Suryani said landslides had snapped transport links and “power is out almost everywhere”. Some survivors are allegedly looting shops to procure essential items, including food. “There has been no aid, we need to eat. We don’t have any other choice, we must get food,” an unidentified man told AFP after filling a basket with goods from a store. The Indonesian government has allocated $37.58 million (approximately Rs 273 crore) for the country’s recovery, reported Reuters. The state energy company said it was airlifting 4,000 litres of fuel, while the country’s logistics agency said it would send hundreds of tonnes of rice. Disaster agency spokesperson Sutopo Purwo Nugroho blamed declining funding every year for the ineffectiveness of the tsunami warning system. 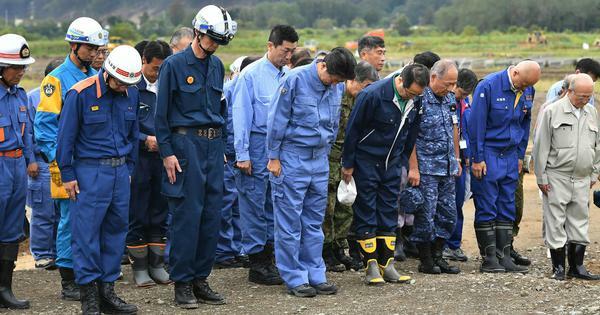 He said the system, which was turned off hours before the tsunami, had not worked for six years due to lack of money.